I’m back again this month to put the top VPN providers through their paces in May 2016 and compare the speeds achievable on their UK servers. May is usually a bit of transitional period for users as we look to do more outdoor activity as the weather gets better. Regardless of the weather though protecting your privacy and accessing content never stops so it’s important to make use of a VPN provider that is fast. With VPN services often costing around the same price the difference in service can be huge and while speed isn’t the only factor you should consider when choosing a provider it is one of the leading features you should consider. So let’s take a look at the UK VPN server speed results for May 2016. Testing was carried out on Monday, 2nd May 2016 between 11:00 and 12 noon. Testing was carried out from within the United Kingdom on a Windows 10 desktop system. Each provider was tested using their own custom Windows software apart from Ironsocket who don’t provide custom software and was tested using OpenVPN GUI directly. All providers used 256-bit encryption via OpenVPN using the UDP protocol. What can you learn from the May 2016 results? This month produced some very good results and for most providers their speeds were up around 10 Mbps on last month. If you’ve been following the monthly results for some time then you’ll already know that for well over 12 months IPVanish, LiquidVPN, and VPN.ac have been providing the fastest speeds in the industry. These three providers all offer excellent speeds and often leapfrog each other month on month for the top position. Without fail they have occupied the top three spots for a considerable amount of time and if speed is your main concern then either of these three providers will make an excellent choice. Ironsocket, Tunnelbear, and ExpressVPN all provide decent speeds enough to carry out most tasks from everyday browsing to streaming video in top quality. Don’t forget if you have a fast connection it isn’t a requirement to get maximum speed unless you are a heavy downloader. 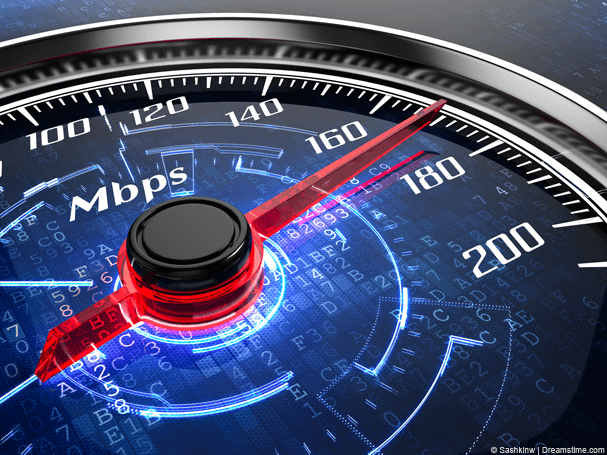 Speeds can also be affected by many different variables from the source you’re downloading from or accessing to issues on the route of the network. Overplay had a bit of a poor result this month which doesn’t mirror previous months so it will be interesting to see how they perform next month. EarthVPN, as usual, come in right down the bottom but as they’re probably the cheapest VPN provider available then it shows you get what you pay for. For a few dollars extra a month, you can over triple the speeds with one of the top 3 providers. I’ll be back in June to find out if there is any change in positions and how the top VPN providers are stacking up.